**Chandler is a full-length standalone novel. For all those newcomers, it's not 100% necessary to read the other in the Fixed Series to read Chandler but I strongly recommend it. The emotional ties to characters and even background will help your retention and investment in the story. For those that are well aware of Hudson Pierce, meet Chandler the previously lesser known Pierce. Chandler is a bunch of things Hudson is not. I love the differences between the two. 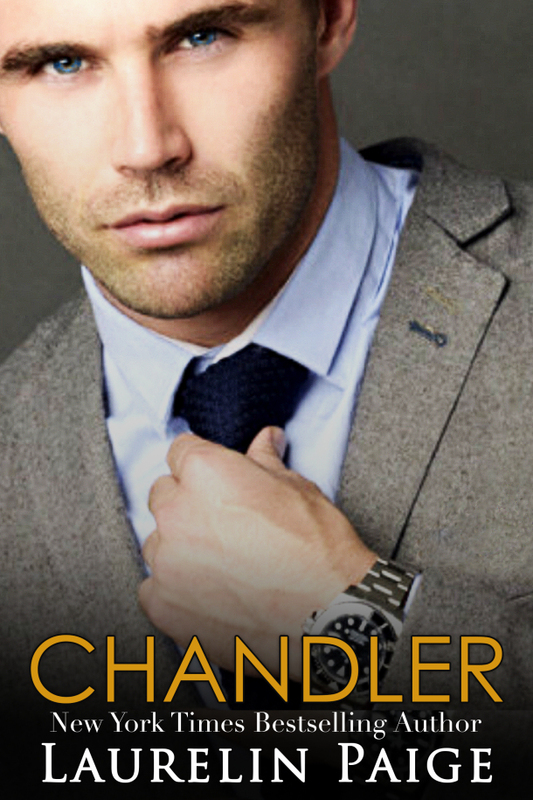 Laurelin Paige made Chandler his own man instead of a rough cookie cutter version of Hudson. (We all know that 85% if not more would have read that anyway and lived it.) Chandler may be a Pierce but he's not a Pierce you've read before. No one has ever looked past the happy go lucky Chandler veneer. No one thought to question his behavior- only reprimand him. But one beauty at a gala and Chandler is literally spinning. His mind, body, and spirit are left twisting in the wind. She isn't interested though and Chandler has never had that happen. Know what else, Chandler has never lead a chase like this one! I love that Chandler is clearly not a stick in the mud. I love the spunky personality, the need to make things fun, and his loyalty/love for his family. He is the light to Hudson's dark. His story is a new favorite. He may not replace Hudson in spank bank material but he gets his own pedestal to stand on! What a ride...now be a good girl/boy and one click so Chandler can show you just how much like Hudson he CAN be. Another great addition to a fabulous series! I thoroughly enjoyed getting to know Chandler and see all that his personality has to offer. In true Pierce form, Chandler is naturally gorgeous and charming, much like his father. His is much more laid back than his brother Hudson. He can be playful, serious, emotional, and intense... so much so he catches himself off guard. He is never taken seriously and is often underestimated professionally. He never really lets this get to him until he meets a woman that rocks his world off its axis. Their attraction to one another is so hot and heady. Genevieve is so classically beautiful and elegant, with her light complexion and slender build. She has a lovely English lilt in her accent. She also is a business professional but is very driven to pave her own way. Everything seems to be going to well until opposing business interests and suspicions take form. Unforeseen connections to people from the past come to light and cause some serious problems between Chandler and Genny. How will it be possible for them to mend the unfixable? ...an impossible situation? You're going to have to read it! This book, in my opinion, would work as a standalone, but I would recommend reading the Fixed series 1-4 first, as it is nice to see these glimpses of the original characters in this book.